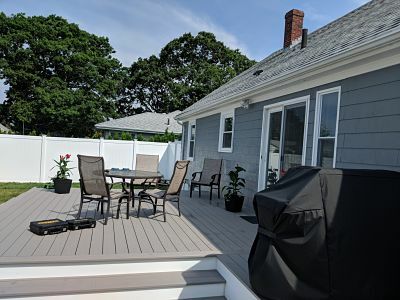 An unprotected deck with southern exposure can be unbearable during peak summer. Another before picture of this exposed deck. 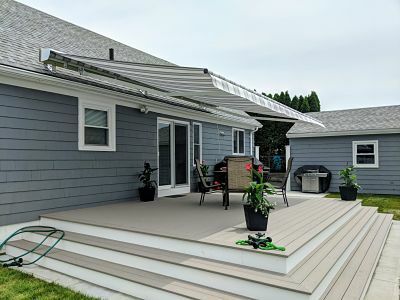 First after picture shows the retractable awning giving much needed shade to this deck. 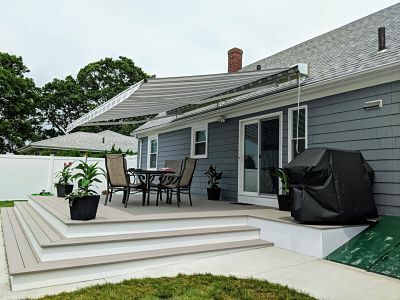 Profile view shows just how much this awning projects out to shade the deck. 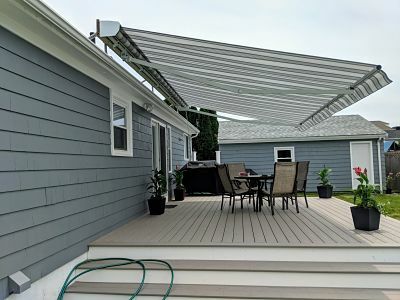 Final view of this great retractable awning shade solution. 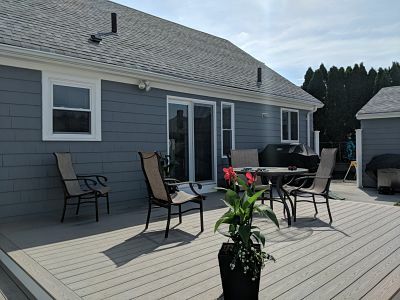 This customer will be happy to enjoy their deck even in the most extreme summer heat.